Offerings to Vishnu to Solve Problems in Married Life – What can be offered to Lord Vishnu for a Successful married Life? 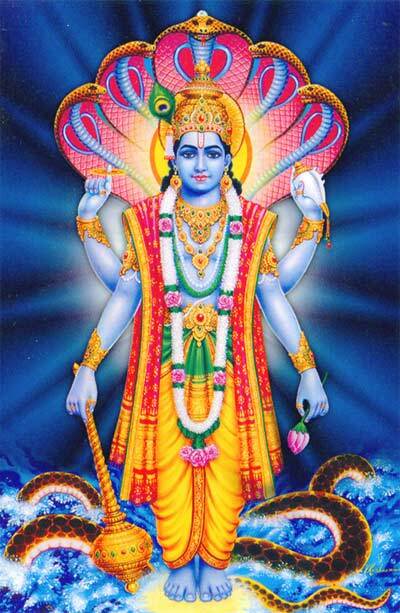 Lord Vishnu is the protector of the world and he is associated with marriage and married life. For a successful married life, various things can be offered to Lord Vishnu. Please note that a person need not offer all the things together to solve problems in married life. The devotee can use any one or two of methods that he/she finds it convenient. White flower – Seasonal white color flowers should be offered Thursdays and Ekadasi (eleventh day of a fortnight) for a successful married life. Banana – Offer a bunch of yellow color banana to Vishnu on Thursdays for successful married life. This should be later given to a cow. Kesar Chandan Attar (Perfume or water) – Offer it to Vishnu during a Thursday puja. After the puja, use it daily for personal use. This will help in a successful marriage. Mauli (Yellow color thread) – Offer yellow color thread to Vishnu on Thursday and later tie it on the right hand to solve problems in married life. Chant the mantra ॐ लक्ष्मीपतये नमः (Om Lakshmipataye Namah) 108 times on Thursday morning. Wear chandan from a Vishnu temple daily on the forehead. Offer Tulsi leaves during daily puja to Vishnu.